Camcorder videographers… here’s looking at you. Video8 and Hi8 (high-band Video8) were introduced in the mid-80’s, when the market was dominated by VHS and Betamax. They were successful because of smaller tape sizes and higher quality, longer length recordings. This format allowed Sony to release hand-held cameras like HandyCam to the public. It became easier than ever for families to record events and special moments. But Video8 and Hi8 use a thin, magnetic strip of tape, making them sensitive to tears and breaks. Because of this, we take special care when transferring these tapes. In order to compete with the emerging Digital Revolution, Sony created the Digital8 format. This format allowed camcorders to record digitally to existing Hi8 tapes. Digital8 was used by many people who had Hi8 tapes but wanted to record in this new, higher quality digital format. Digital tapes were a revolution, but came with a new set of problems. Slightly dirty heads caused playback distortions. Storage was an issue as well. Many people stored their tapes flat, which led to data literally falling off the tape. The 90’s don’t seem so far in the past, but even that short amount of time can have a big effect. If you want to save these memories for generations, bring your 8mm tapes to us! We convert Video8 PAL / Hi8 PAL / Digital8 PAL! 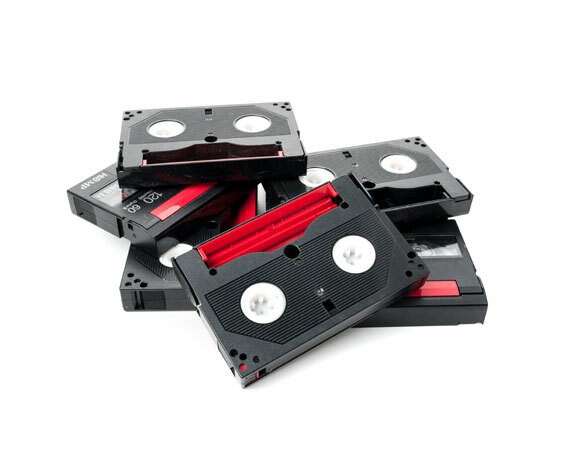 Here at Los Angeles Video Transfer Service, we can transfer your 8mm tapes to DVD or digital file. Each DVD is custom labeled to match the content of your tape. Our digital files are high quality, easy to playback, and completely editable. We will help you select the best format for your needs*. *Since Digital8 is a digital format, we recommend transferring these tapes to digital files which are stored on a hard drive.